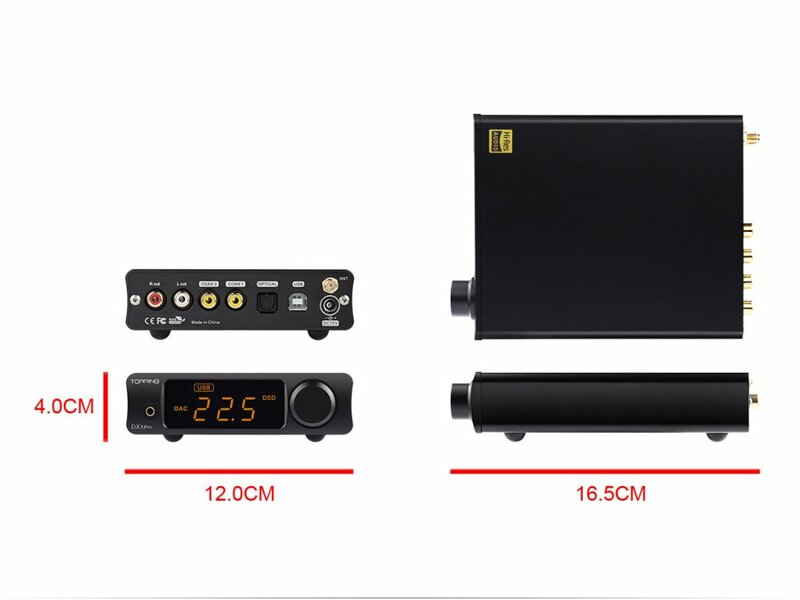 The DX3 Pro is equipped with a USB input 32bit768kHz (XMOS U208), two coaxial inputs and an input optics 24bit192kHz (AK4493EQ). As output, the DX3 Topping displays a 3.5mm jack and a line-out. The output stage develops 2x1000mW @ 32Ω or 2x125mW @ 3000Ω. 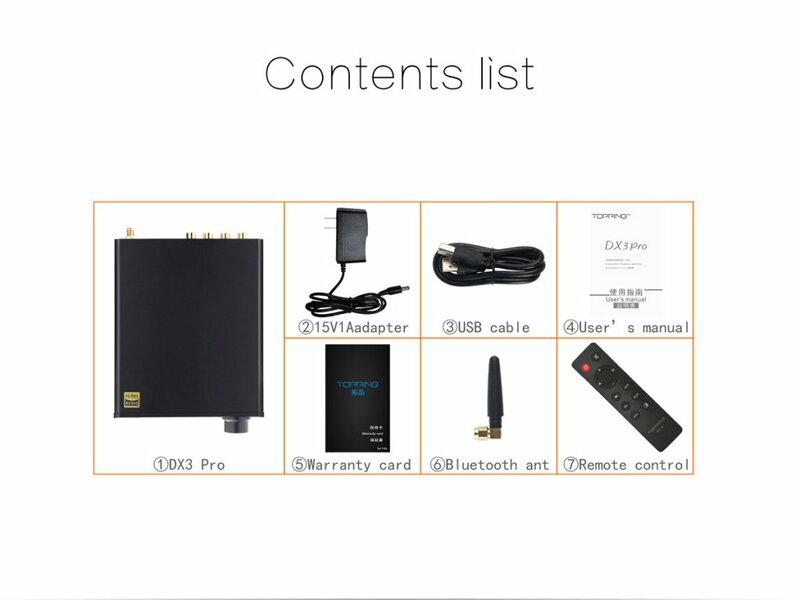 The distant connectivity is not left behind since the device is equipped with a Bluetooth receiver which supports SBC ACC, apt-X, apt-X II, apt-X HD. Topping's DX3 Pro fulfills both functions of DAC and headphone amplifier. It offers excellent performance when connected to a digital source by wire or Bluetooth. 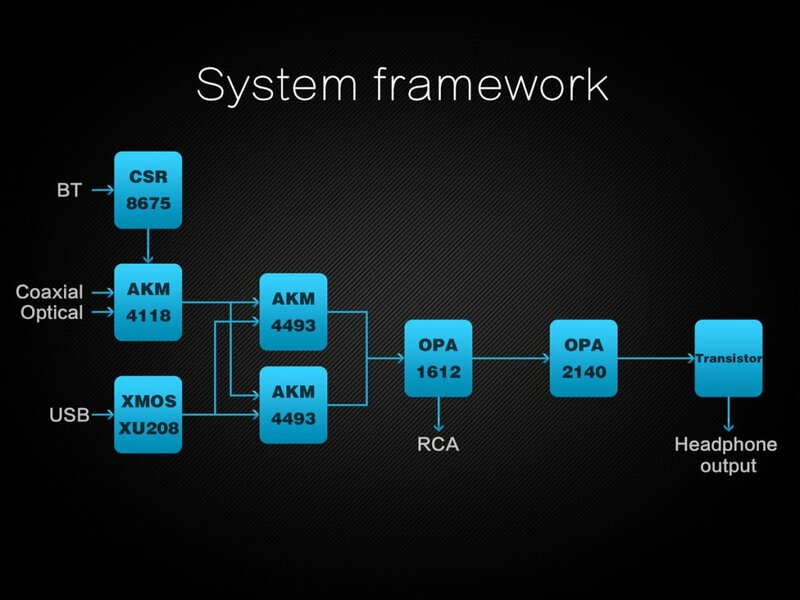 Multiple operating modes available support an integration into a more complex chain as well. Its traditional use is that of a DAC + headphone amplifier. An additional line output is available and allows a connection with analog devices such as active speakers. Conversely, it is also possible to disable the preamplifier stage, which isolates the DAC signal in order attack an external preamplifier. 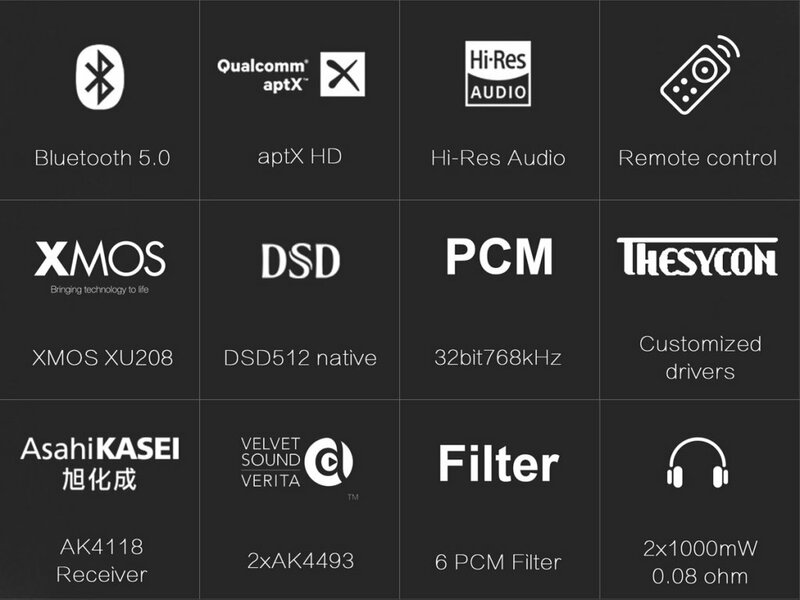 Definitely designed for high fidelity, the DX3 Pro only integrates components recognized for their audio performance. 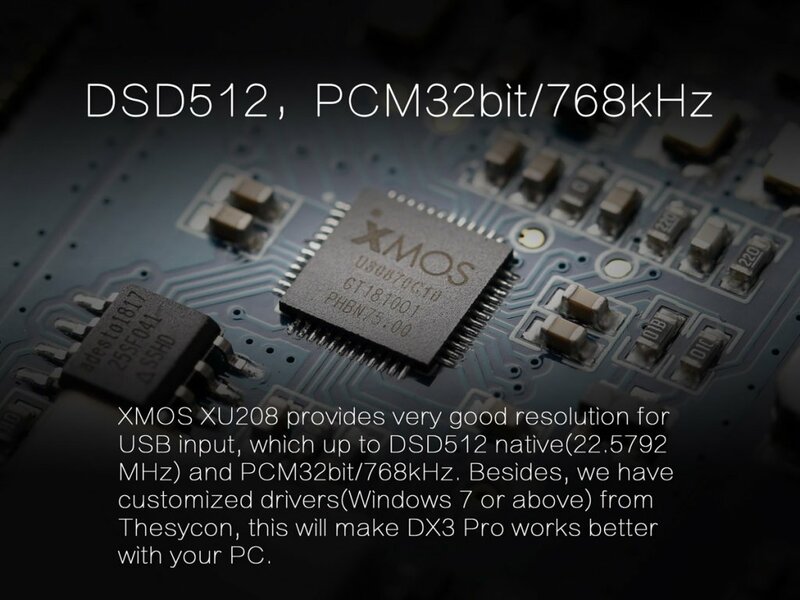 As USB interface, a U208 XMOS chip drives the USB input. The latter supports high-frequency digital audio streams and offers a native DSD compatibility as well. The digital to analog conversion is processed by two AK4493EQ 32-bit DAC chip. This is a modernised version of the AK4490EQ which enjoys a distortion and a signal to noise ratio more favorable than its parent while retaining all the technologies that have established its success. It includes the famous Velvet Sound with increasingly accurate digital filters. 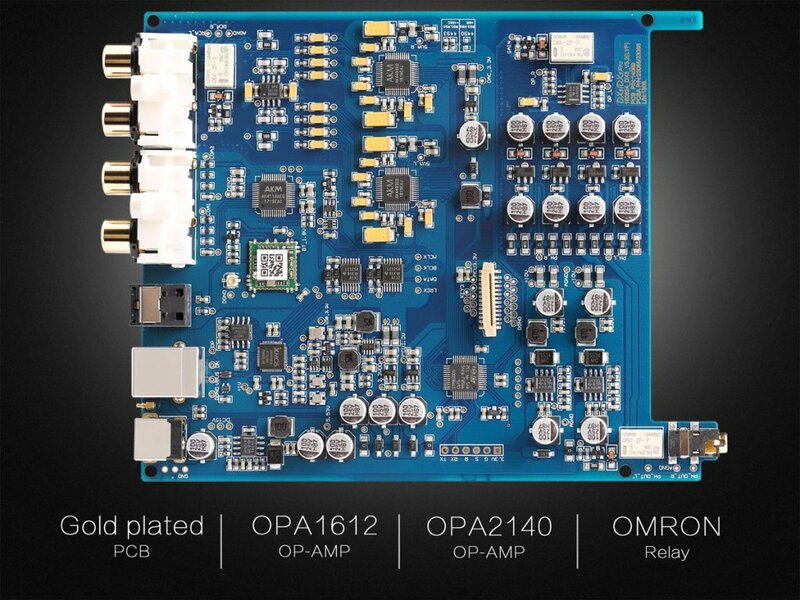 DX3 works with high accuracy and low harmonic distortion OPA1612 operational amplifier. This OPA brings precise and fine sound thanks to its low electronic noise (1.1-nV / √Hz) and low distortion (0.000015% @ 1kHz). This model especially offers a swing of 600mV at a load of 2 kΩ, which enables the DX3 to drive most advanced heaphones while providing large dynamic range, stable gain and wide headroom to preserve THE spatial depth of your high-definition music. 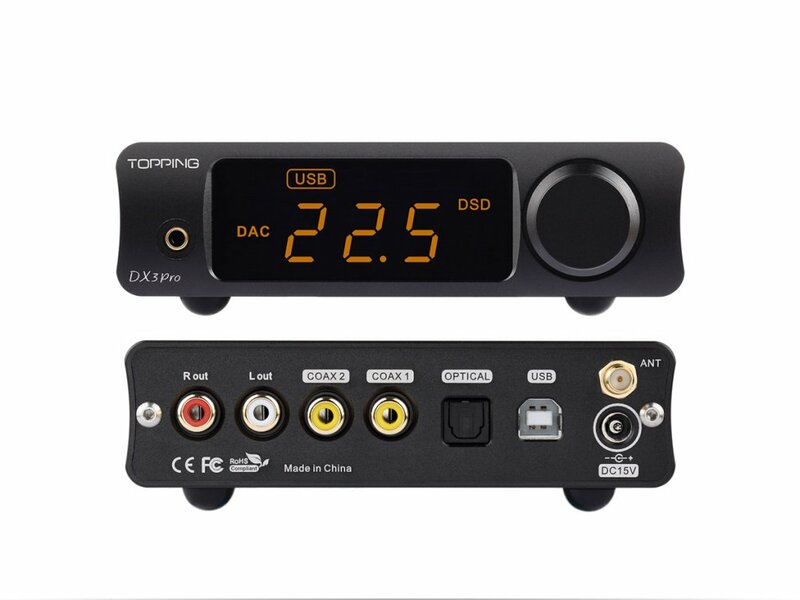 The DAC DX3 Topping is delivered with a black compact remote. The latter allows to remotely control the volume, select tracks, outputs, filters...etc. This remote support is one of the few devices to combine function & DAC Preamplifier / remote control headphone amplifier in this price range.Thanks to this remote control compatibility, Topping's DX3 pro is one of the few devices from this price range to combine function of DAC, Preamplifier, headphone amplifier and remote control. 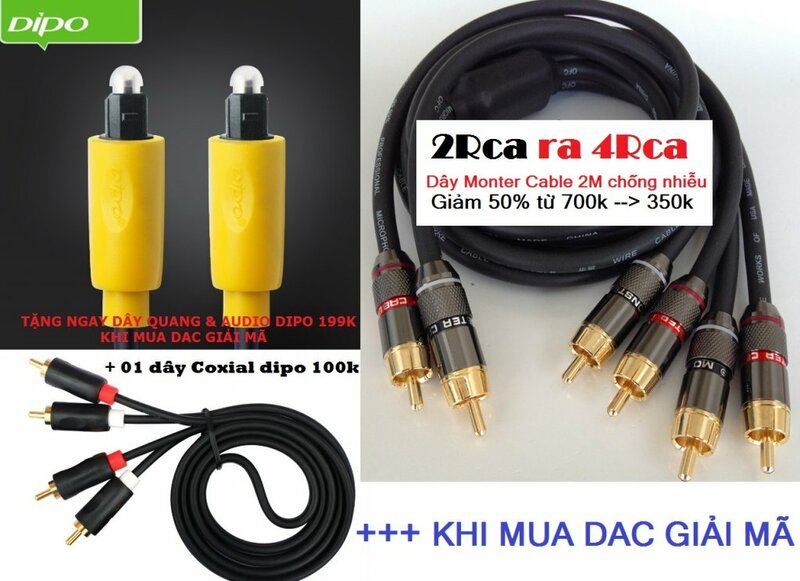 ➡ Giá bán: 5.350.000 Đ. Tặng 03 dây optical, coxial & Rca DIPO cao cấp 299k.